Reliable and accurate information on word meaning and usage is crucial in today’s multilingual and multicultural society. Traditionally, this information was found in dictionaries – monolingual, bilingual or multilingual. Print dictionaries are going out of use slowly, but dictionary databases are now integrated into websites, mobile apps, digital products and services. These databases need to be maintained and updated continuously. An enormous amount of European institutions, publishers, universities and communities have been developing dictionaries and/or dictionary data. Although confronted with similar problems related to producing and making these resources available, cooperation on a larger European scale has long been limited. ELEXIS aims to harmonize these efforts an develop tools which can be used by everyone. This will reduce the cost and time needed to update existing or develop new resources. It will also help everyone work towards the same standards and increase the quality. The lexicographic landscape in Europe is currently rather heterogeneous. There are stand-alone lexicographic resources, which are typically encoded in incompatible data formats due to the isolation of efforts, prohibiting reuse of the data in natural language processing, linked open data and the Semantic Web, or in digital humanities. ELEXIS will introduce common standards, develop conversion tools and, most importantly, will interconnect the existing resources so that they can be used to develop new modern data which can be used in ways that new digital technologies need. 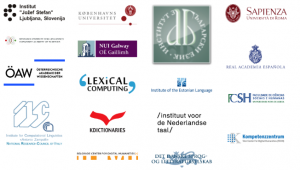 There is a significant variation in the level of expertise and resources available to lexicographers across Europe. 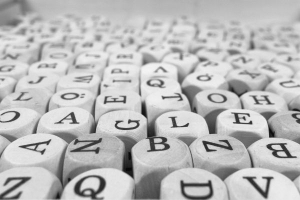 This forms a major obstacle to more ambitious, innovative, transnational, data-driven approaches to dictionaries, both as tools and objects of research. This is why ELEXIS contains a Training and Education work package responsible for the development of training and educational resources.